Very briefly, when I was 20 years old, I owned a Jag. A V8 Jag nonetheless. Let me now explain how it was a complete disaster, and an expensive week. Not just for me. The chance came around when my Mother insisted it was time my Dad thinned out the fleet. A cruel thing to do I’m sure you’ll agree. We only had 11 cars in the household. What was the issue? Almost half of them even had an MOT. The XJ8 was one of the few that was road legal. It was also one of the newest, and not really collectable yet. It was bought for an absolute steal, was minty underneath with fully rebuilt suspension, brakes and a back to bare metal respray. If you ignored the horrific grinding noise that came from the automatic gearbox, it was a great purchase. This was where my plan came in. I thought I’d look pretty baller frankly. It would undoubtedly increase my chances of getting a girlfriend. How cool would I look pulling away from the lights in a classic Jag as the gearbox made a grinding noise so loud it would drown out all of the V8 rumble? Very. That’s how. The Mother was swiftly ignored, insurance was all swapped around, and the 75 was cleaned and put up for sale. Grand. I’m 20. Tootling around in a V8 Jag. All was well with the world. Which it was. For about 2 days. How an innocent engine can ruin all the fun.. The first hiccup came as I was coming home from work one night, and the car went into restricted performance mode. I worried about this until I spoke to my Dad, to which he told me it had happened to him a few times, and an ignition reset had solved it. Which it did. Although I was a little bit miffed the swine had not mentioned this to me before my purchase, which I had not yet actually paid him for. Another couple of days passed in which the 75 had not sold, so therefore I had not yet paid my Dad. Once again the car went into restricted performance mode. This time it happened as I pulled out of a junction on the way to university and as it did, it made a small thud in the process. This thud would turn out to be more significant than first thought. Unfortunately an ignition cycle did not cure it. No number of them did. No matter how frantically I’d turn the key. Lock, unlock, start, off lock and so on, the car would not fix itself. The level of concern was increasing. Here was a car I had not paid for, which I had broke. Smashing. The car now consistently ran lumpy, especially in the the lower end of the rev range. After a sift through with a fault code reader there were errors for a lambda sensor and a coil. Both of which would explain the restricted performance. Both of which were duly replaced. Both of which made absolutely no difference. Top. 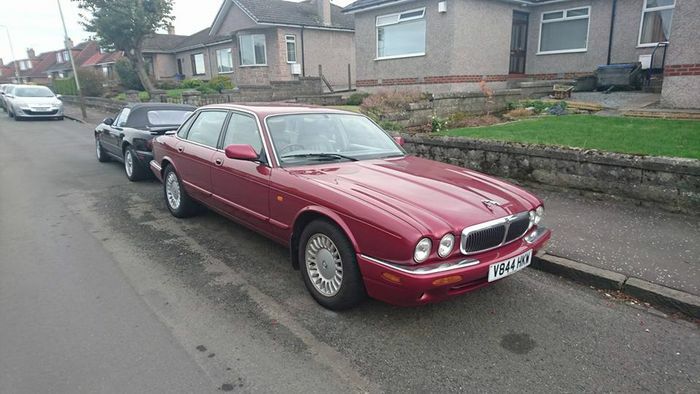 I now had an old XJ8, which I still needed to pay my Dad for, which was quite clearly very broken. How cool did I feel at this point? Not going to lie, at this point, still felt very cool. By now we had checked everything we could think of. All cylinders were getting good fuel and a spark, and the fact the car still ran really well when you floored it mystified us. It was at this point the decision was taken to swap back over to the 75 (I was lucky it had not sold). I had now used the car for a week, broken it completely, handed my Dad a grand total of zero pounds, and returned a broken Jag. Not the best deal he has done in his life I am sure. It’s a good thing I’m family. 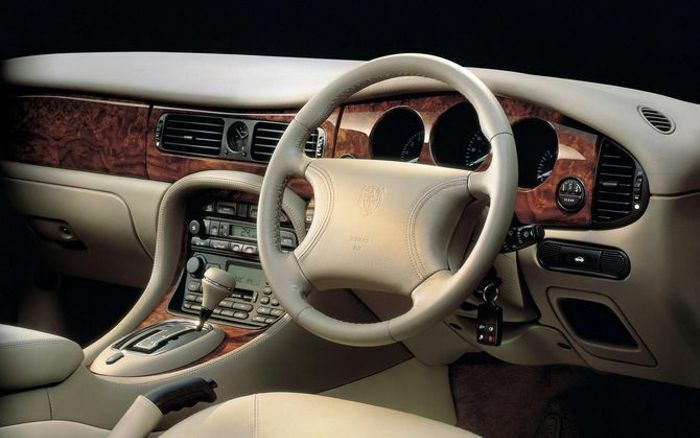 So what was the XJ8 actually like? In all seriousness, not that good. Weirdly, it felt at its best plodding around town at 25/30mph. There’s something which you just can’t put your finger on, but it makes you feel special. It’s not super posh, you have ford switchgear around you as its from that dreadful time but it just has an air of grandeur around it. The car doesn’t handle at all. The open diff and wallowyness of the thing made it very poor on a country road, worse than the 75 I’d argue as that at least had a manual, Although lets not forget the genius of the randall handle that many contemporary Jaguars were fitted with! Even on a cruise it did not feel that great. Would I have another? More than likely. Purely cause I’m just mad for old british cars. Especially Jags. Think of it like an old country cottage. There are no modern amenities, there are drafts everywhere, cracks in the walls and everything makes a bit more noise than it should do. You don’t mind though because it’s all “Character”. You sink comfortably into the seats, and that V8 is the roaring fire. Chuck a few bits of fuel into it and waft away. Eventually it was fixed, and only cost my Dad £500. Pretty cheap for lending it to your son for a week if you ask me. Turns out it had not had the 2nd recall completed for the timing chain tensioners. When I pulled out of the junction, it had jumped a tooth. Luckily, it had jumped only one, as two would of constituted a strict meeting between a piston and some valves. You’ll notice how the car was not sold, so the mother was adequately pissed off by all this too. Great success. Three years later, the Jag is still not sold. The gearbox grinding was also mostly fixed by changing the fluid and filter. It now barely makes a sound. With a spot of luck maybe another fluid and filter change will fix it for good!